our law office's Johnson County traffic attorneys can "fix," divert, or amend most Johnson County, KS speeding, red light, stop sign, lane violation, following too closely, failure to yield & other traffic tickets, including tickets/citations written by the Johnson County Sheriff, the Kansas Highway Patrol, or another police officer. Call the traffic lawyers at our Johnson County law office today at (913)764-5010 to learn how hiring one of our traffic attorneys may keep the citation off of our your driving record, save you time, and saving you money on your auto insurance premiums! We have represented thousands of drivers issued traffic tickets/citations by the Johnson County Sheriff, and the Kansas Highway Patrol. Our law office's attorneys can amend or "divert" most speeding/traffic tickets to "illegal parking" or "inattentive driving," which will not negatively affect your insurance rates or driving record. Other tickets may be eligible for diversion or other advantageous resolutions which will minimize the ticket's negative affects. What types of Johnson County tickets and citations can your Olathe law office's lawyers/attorneys help me with? Our Johnson County traffic lawyers offer legal representation for drivers who have been pulled over and issued speeding tickets, stop sign/stop light violations, driving while suspended tickets, citations for not having insurance, registration violations, failure to yield, habitual violator, and all other traffic citations throughout Johnson County, Kansas. This includes tickets in Johnson County District Court, and the municipal courts throughout Johnson County. First, an amendment or diversion of your Johnson County speeding/traffic ticket to a non-moving violation will keep your insurance premiums from rising as a result of the traffic citation. The Kansas Insurance Commissioner's website lists a "clean driving record" as one of the best ways to keep your Kansas auto insurance premiums low. The Insurance Commissioner also notes that a clean driving record should qualify you for a separate discount. What this means is that just one ticket on your driving record could raise your auto insurance rates in two ways! Second, a ticket amendment or diversion in Johnson County District Court will keep your driving record clean and keep your driver's license valid. In some instances, even one ticket conviction can lead to a driver's license suspension. The laws regarding driver's license suspensions are different in Missouri, Kansas, and nearly every other State. The only way to insure that your ability to drive is not affected is to do everything you can to keep the ticket off of your record. The first question to be answered - what Johnson County, Kansas court is your traffic/speeding ticket filed in? Johnson County, KS traffic & speeding tickets will be prosecuted in either Johnson County District Court or one of the many municipal courts in Johnson County, such as Olathe Municipal Court, Overland Park Municipal Court, or Mission Municipal Court. To determine the Court for your Johnson County traffic citation, simply look at the top of the citation you were issued - the Court should be clearly identified. If you were stopped by a Kansas Highway Patrol Trooper or a Johnson County Sheriff's Deputy, then your case will proceed in Johnson County District Court. If you were stopped by a local police officer, then your case will proceed in that city's municipal court. For instance if you were issued a speeding ticket by an Overland Park Police Department policeman, then the case will be prosecuted in Overland Park Municipal Court. If you were stopped by a Mission, Kansas Police Officer, your traffic ticket will be processed in Mission, Kansas Municipal Court. The traffic lawyers in our law office regularly amend or "fix" tickets in all of Johnson County's municipal courts and we enjoy finding solutions for drivers facing "tough" ticket fixes, such as construction zone speeding tickets, school zone speeding tickets, commercial vehicle tickets, or tickets issued in an auto accident. While many people believe that these tickets can not be "fixed" or amended, we can help in certain circumstances. Learn how easy it is to hire our Johnson County law firm's attorneys and have them handle your Johnson County traffic case. 1. Contact one of our traffic lawyers at (913)764-5010 (or by clicking this link) with your speeding/traffic ticket number and payment information. The ticket number is usually found on the top or right side of the front of your Johnson County traffic citation. This number will allow us to call your ticket in to the Court Clerk and enter an appearance on your case. If you have lost your ticket or if you do not have it with you, we can still look up most tickets with your name, birth date or address. We will take this information down and proceed to step #2. If you would like to pay for your Johnson County ticket amendment by credit card, we can take your credit card information over the phone. If you wish to pay by check or cash, you can either mail payment to us or come by our law office in Olathe. 2. Our law office will contact the Johnson County District Court or court that you are scheduled to appear in and enter an appearance on your traffic/speeding ticket. For instance, if you received a ticket from an Overland Park police officer, we will contact the Overland Park Municipal Court and enter an appearance on your behalf. If you received a ticket from a Johnson County Sheriff or Kansas Highway Patrol trooper, your ticket will proceed in Johnson County District Court, and we will contact that court. If you received a ticket from a Olathe Police officer, we will contact the Olathe Municipal Court. If your received your ticket from a Prairie Village Police Officer, we will contact the Prairie Village Municipal Court to enter an appearance. The list goes on and on. When we enter an appearance on your traffic/speeding ticket, you no longer have to appear in court, rather we appear in your place. 3. The Johnson County District Court Clerk will place the ticket on an "attorney plea docket." The "attorney plea docket" is a separate court date which takes the place of your original court date, and where we will negotiate an advantageous resolution with the prosecutor. 4. One of our Johnson County law firm's lawyers will appear in Johnson County District Court on your behalf. We will appear on your behalf, arrange a amendment or "fix" for your ticket, and then pay the court. Most speeding tickets will be amended to a parking violation which will not affect your license status or insurance rates. Other moving violations may be diverted or amended, in all cases you will need to speak to one of our Johnson County traffic attorneys to determine what the expected resolution of your case will be. In most cases, you will not be required to appear in Johnson County District Court. 5. We will mail you confirmation of the resolution we work out with the prosecutor. Once we have appeared in court on your behalf, we will mail you a letter summarizing our work and include a receipt from the court which shows the resolution for your ticket. This will usually be in the form of a receipt from the Court showing an amendment to "illegal parking." Our Johnson County traffic/speeding ticket amendment process really is this easy! Please keep in mind that while we successfully amend hundreds of speeding & traffic tickets each year, no traffic attorney or law firm can guarantee results. Each case is unique and there are a number of reasons the court or prosecutor might choose not to allow an amendment for your ticket. Johnson County is the most populous county in Kansas and encompasses a large number of courts, including Johnson County District Court and over twenty different municipal courts. Each of these courts operates independently of the others. While the laws in each court may be largely the same, the different judges and prosecutors in each court can lead to drastically different outcomes between the courts even when cases have remarkably similar circumstances. Generally, the municipal courts will handle speeding & traffic tickets written by their police officers. For instance, a speeding ticket written by a Lenexa, KS police officer will proceed in Lenexa Municipal Court. A speeding ticket written by a Merriam Police Officer will be handled in Merriam Municipal Court. Johnson County District Court generally handles speeding & traffic tickets written by both the Kansas Highway Patrol and the Johnson County Sheriff's Office. Some people don't think they need a lawyer to help them with their speeding ticket or traffic citation. While this may be true in limited instances, in most cases an experienced Johnson County traffic attorney can be essential in ensuring your rights and interests are protected. The jurisdiction that has issued the citation to you has police officers, attorneys, and other staff members working hard on their side - it is only fair that you hire a Johnson County traffic lawyer to help you. A Johnson County, KS speeding/traffic ticket can negatively affect you in a number of ways with the negative effects often lasting for years. The primary reasons to avoid simply paying (and by doing so pleading guilty) to a Johnson County traffic citation is to protect your driving record. While every state is different and maintains different driver's license rules, Kansas and Missouri will both suspend your driver's license if you are found guilty of too many traffic violations in a given time period. In fact, in some cases, you can have your Kansas or Missouri driver's license suspended for one being found guilty of one traffic ticket! If you are like most people, you rely on your driver's license to get you to work, to get to the grocery store, to take take the kids to school, and for many other aspects of your daily life. In Johnson County, KS, a driver's license is absolutely necessary for daily life. Thus a driver's license suspension could have a significant and harmful impact on your life and your family's. Hiring our law office's traffic attorneys to "fix," or amend your ticket can prevent your license from being suspended, or from "points," or negative marks appearing on your driving record. The second major reason to amend or divert your Johnson County speeding & traffic tickets is to keep your insurance rates from going up or rising through the roof. If you pay a traffic ticket, it is highly likely that We have had clients come to our office after they pled guilty to a ticket and saw their 6 month premium increase by over a thousand dollars! Whie such an increase is not kilely for everyone, the only way to know how much your rates will increase is to wait for that next bill, and by then it is probably too late. Other negative effects include the hours of lost time involved in attending court dates and waiting for your case to be called, the missed work (and associated lost wages) from having to attend court, and the fines and court costs associated with each ticket. Hiring an experienced Johnson County speeding/traffic ticket attorney can insure that your rights and interests are protected. First, by hiring us to handle your ticket, you will not have to appear in court for your ticket - rather we will appear on your behalf. This will save you hours of time and prevent you from having to miss work and/or other activities to handle the ticket. We will then enter an appearance with the court on your case put the ticket on what is commonly referred to as an "attorney plea docket." This is usually a separate court date where we will go and talk to the prosecutor and judge (if applicable) about your case. In almost every traffic citation case, you will not need to appear. When we appear on your behalf at the attorney plea docket, we will explain your case to the prosecutor in an attempt to secure and amendment to your ticket or secure a diversion on your ticket. What is a speeding/traffic ticket amendment in Johnson County and why is it good for drivers? In Johnson County, an amendment to a speeding or other traffic ticket is where the prosecution agrees to change the alleged violation you committed. The amendment is usually to "illegal parking." Just as a normal parking ticket will not be recorded on your driving record or affect your insurance rates, an amendment to illegal parking will not be reported to your state's driving authority, nor will it cause your insurance rates to go up. The city offering the amendment will usually ask for something in exchange for amending the ticket, which is usually double the fine listed on the ticket. Call us today at 913-764-5010 or email us at info@JoCoTraffic.cocm to learn the expected amendment cost for your Johnson County speeding/traffic ticket amendment. What is a "diversion" and why is it advantageous for drivers in Johnson County? A Johnson County traffic/speeding ticket diversion is essentially a contract between a driver and the prosecution where the driver agrees to do something for a specified period of time and in exchange, the prosecution agrees to dismiss the charge at the end of that specified period of time. For example, the Johnson County District Attorney's Office will not offer amendments for Johnson County District Court traffic/speeding tickets. They will however offer diversions. With a speeding ticket, they simply agree to dismiss the ticket if the driver does not plead guilty and is not found guilty of any new moving violations within the next 6 months. Just as the speeding traffic ticket amendment prevented the ticket from negatively affecting your driving record and insurance rates, the diversion will as well, provided you complete it successfully. However, if you do receive a new charge within the diversion period, we may still be able to manage it to keep your diversion valid. Each case is unique and you need to contact us (phone 913 768-0070 email info@JoCoTraffic.com) for details if you should find yourself in that category. The City of Olathe allows drivers represented by an Olathe speeding/traffic attorney to amend many tickets and grants diversion on others. Olathe speeding tickets can be amended to "illegal parking," which is a non-moving violation and should not negatively reflect your license or your insurance rates. Olathe driving while suspended charges and other serious traffic charges (such as registration violations or insurance violations) may be able to be "diverted." Diversion is not a conviction, it is an agreement where the driver agrees to certain conditions for a certain period of time, and in exchange, the City of Olathe agrees to dismiss the case if the conditions are met. The City of Overland Park Municipal Court is one of the largest courts in the entire State of Kansas. The prosecutors will often amend Overland Park speeding tickets to drivers represented by an Overland Park traffic attorney. Amendments include "illegal parking" for a predetermined amount depending on the driver's record and the circumstances surrounding the ticket. Overland Park will occasionally offer amendments or diversion for other violations such as driving while suspended, registration violations and insurance tickets. These amendments vary based on the circumstances surrounding the charge and the driver's record. Care must be taken as the City of Overland Park insists on jail time for all driving while suspended convictions. The City of Prairie Village offers amendments to "illegal parking" for most speeding tickets who are represented by a Prairie Village traffic lawyer. They typically double the cost of the ticket and add court costs. Other Prairie Village violations such as DWS (driving while suspended), no insurance, or no registration may also be amended or diverted, depending on the circumstances. 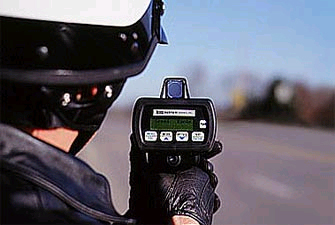 The City of Leawood will amend many speeding tickets to folks represented by an attorney. These amendments will be to a non-moving violation that will not reflect negatively on a driver's license or insurance status. Other Leawood tickets such as driving without proof of insurance, driving while suspended (DWS), and registration violations may also be amended or diverted, depending on the circumstances. The City of Lenexa often "fixes" speeding tickets to illegal parking for drivers represented by a Lenexa speeding ticket lawyer. This remedy usually calls for doubling the price of the ticket and adding court costs. Other charges may be eligible for diversion, depending on the circumstances and the driver's record. A good Lenexa traffic attorney may be able to divert a driving while suspended (DWS) charge, insurance charge or registration violation. The City of Merriam often allows speeding and other traffic tickets to be amended to "illegal parking" or other non-moving violations to drivers represented by a Merriam traffic attorney. More serious charges such as driving while suspended, without registration, or without insurance may be amended or diverted depending on the circumstances. The City of Shawnee will amend certain speeding tickets to "illegal parking" or other non moving violations upon request by a Shawnee speeding/traffic ticket attorney. Serious traffic charges in Shawnee can occationally be diverted or amended to limit the impact on drivers. Each case is different, but retaining a Shawnee traffic attorney may help get the results you want. The City of Mission may amend speeding/traffic tickets for drivers represented by a Mission speeding/traffic attorney. These amendments typically consist of an amendment to "illegal parking," which will not add points or have other negative implications on a person's record. More serious Mission traffic charges such as driving while suspended, driving without proof of insurance, or driving without registration may be amended, depending on the circumstances. The City of DeSoto often allows speeding and other traffic tickets to be amended to "illegal parking" or other non-moving violations to drivers represented by a DeSoto traffic attorney. Johnson County District Court traffic tickets may be eligible for diversion which will keep them from reflecting negatively on your record. Johnson County does not amend tickets to illegal parking. How exactly can my driver's license get suspended? Conviction of certain offenses which automatically result in a driver's license suspension. Conviction of three or more moving violations within a specified time period. The State does not care if the violations were collected in Kansas or even in another state - they will still suspend your driver's license for too many violations! Failing to appear for court date or failing to pay a ticket. We see this one all too often - folks either can't afford to pay a ticket or forget all about it. When the Court date is missed, the City or County will suspend that person's driver's license and issue a warrant for your arrest. If you have missed your Court date, call us immediately! We can often enter an appearance on your behalf, get the warrant recalled, and take steps to get your driver's license back in good standing. Failing to maintain continuous liability insurance on your vehicle. If you drive your car without insurance, you can be suspended for a very lengthy period of time - even if you haven't been in an accident. Do not drive without insurance in Johnson County or elsewhere! If you do let your insurance lapse and a ticket is issued, call us immediately so we can help you avoid a driver's license suspension for the charge. Driving while under the influence of alcohol or drugs or having a BAC level of .08% or above. Almost everyone charged with a DUI will also be subject to a driver's license suspension ranging from 30 days to life, depending on their driving history. If you have been charged with DUI in Kansas you only have 10 days from the date of your arrest to request an administrative hearing with the State or your license will be automatically suspended for a period ranging from 30 days to life! If you have been charged with DUI in Kansas, call us immediately so we can file the correct documents to preserve your driving privileges! Can I get a hardship driver’s license in Kansas, Missouri, or another State? Missouri and other states, however, do grant hardship licenses. Whether you qualify or not depends on a number of factors, so contact one of our traffic attorneys to discuss your case's unique circumstances. I went through a period of time where I racked up a bunch of tickets. This is hurting my ability to get a license. Is there anything an Overland Park traffic law office can do to help me get my driving privileges back? In many cases, the answer is yes - we can help you get your Kansas driver's license. We specialize in "hard cases" that other traffic attorneys in Olathe and elsewhere in Johnson County are unwilling to take. We can help you in several ways. When dealing with past tickets or multiple tickets, the situation can get very complicated very quickly. Call us today at 913 768 0070 to set up an appointment to discuss your situation and to find a solution to get back your Kansas driver's license. 8-235. Licenses required; city license, when; appeal from denial of license; vehicles registered under temporary permit; penalty; motorized bicycle driver's license. (a) No person, except those expressly exempted, shall drive any motor vehicle upon a highway in this state unless such person has a valid driver's license. No person shall receive a driver's license unless and until such person surrenders or with the approval of the division, lists to the division all valid licenses in such person's possession issued to such person by any other jurisdiction. All surrendered licenses or the information listed on foreign licenses shall be returned by the division to the issuing department, together with information that the licensee is now licensed in a new jurisdiction. No person shall be permitted to have more than one valid license at any time. (b) Any person licensed under the motor vehicle drivers' license act may exercise the privilege granted upon all streets and highways in this state and shall not be required to obtain any other license to exercise such privilege by any local authority. Nothing herein shall prevent cities from requiring licenses of persons who drive taxicabs or municipally franchised transit systems for hire upon city streets, to protect the public from drivers whose character or habits make them unfit to transport the public. If a license is denied, the applicant may appeal such decision to the district court of the county in which such city is located by filing within 10 days after such denial, a notice of appeal with the clerk of the district court and by filing a copy of such notice with the city clerk of the involved city. The city clerk shall certify a copy of such decision of the city governing body to the clerk of the district court and the matter shall be docketed as any other cause and the applicant shall be granted a trial of such person's character and habits. The matter shall be heard by the court de novo in accordance with the code of civil procedure. The cost of such appeal shall be assessed in such manner as the court may direct. (c) Any person operating in this state a motor vehicle, except a motorcycle, which is registered in this state other than under a temporary thirty-day permit shall be the holder of a driver's license which is classified for the operation of such motor vehicle, and any person operating in this state a motorcycle which is registered in this state shall be the holder of a class M driver's license, except that any person operating in this state a motorcycle which is registered under a temporary thirty-day permit shall be the holder of a driver's license for any class of motor vehicles. (d) No person shall drive any motorized bicycle upon a highway of this state unless: (1) Such person has a valid driver's license which entitles the licensee to drive a motor vehicle in any class or classes; (2) such person is at least 15 years of age and has passed the written and visual examinations required for obtaining a class C driver's license, in which case the division shall issue to such person a class C license which clearly indicates such license is valid only for the operation of motorized bicycles; or (3) such person has had their driving privileges suspended, for a violation other than a violation of K.S.A. 8-1567 or 8-1567a, and amendments thereto, and has made application to the division for the issuance of a class C license for the operation of motorized bicycles, in accordance with paragraph (2), in which case the division shall issue to such person a class C license which clearly indicates such license is valid only for the operation of motorized bicycles. (e) Violation of this section shall constitute a class B misdemeanor. Are you looking for an experienced Johnson County DUI attorney? The attorneys in our Johnson County law office have represented hundreds of drivers charged with driving under the influence in Johnson County and elsewhere in Kansas and Missouri. DUI charges are extremely serious matters and should be handled soon after the driver is charged. In most Kansas drunk driving cases, you only have 10 days from the date of your arrest to request an administrative hearing or your license will be automatically suspended for a period between 30 days and life, depending on the circumstances. If you are facing a Johnson County DUI charge, call us immediately to learn your rights and to discuss your options. This law office also focuses on personal injury and wrongful death representation on cases involving auto accidents, negligence, on the job injuries. Our law office's personal injury attorneys have handled cases in Johnson County, Wyandotte County, Jackson County, Kansas City, and elsewhere in Kansas and Missouri.